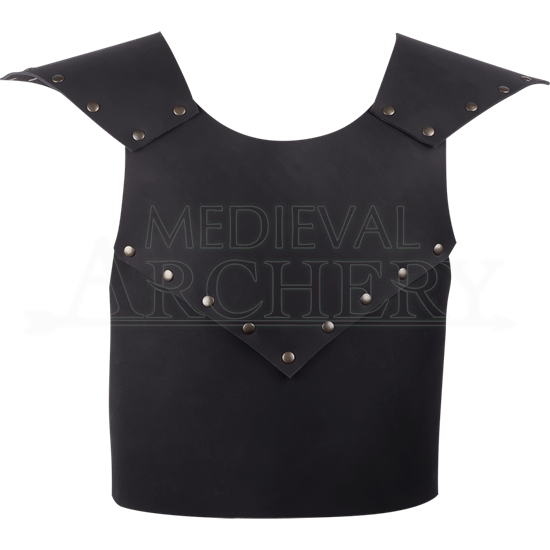 A wonderful starter piece for any child LARPer or youngster with a passion for the medieval era, the Kids Leather Armour is a spectacular leather chest piece built to contort to the movements of even the most rambunctious kid. 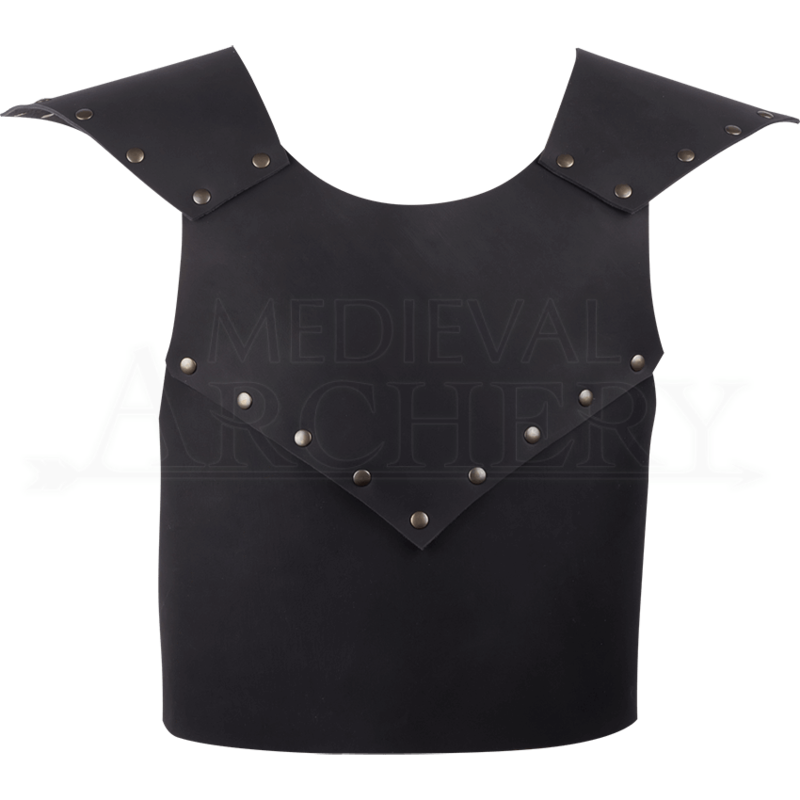 This chest armour is composed of several pieces that attach to one another by way of rivets, providing a supremely flexible design. Decorating the front of this design is a sharply angled lame, which features a border of rivets and matches the triangular shape of the shoulders. The back of this design is open to reduce its weight and improve its pliability. Leather cords are used to attach the various panels together on the back, comfortably contouring the body of the child. Empower the imagination of your child by letting them live out their knightly fantasies with the Kids Leather Armour.